The ,,Rakovski street” of today has been one of the liveliest and crowdedcraft and market street of Veliko Turnovo, known as ,,Samovodska Charshia”. Today most of the houses and workshops along this street are restored. The masters use old technologies and work with the original tools while visitors may watch them creating their crafts. Active workshops are: a potter, an icon painters studio, a carver, a goldsmith, art glass studio, a weaver, a coppersmith, a workshop where kadaif is made, a confectioner, herbal shop and more. 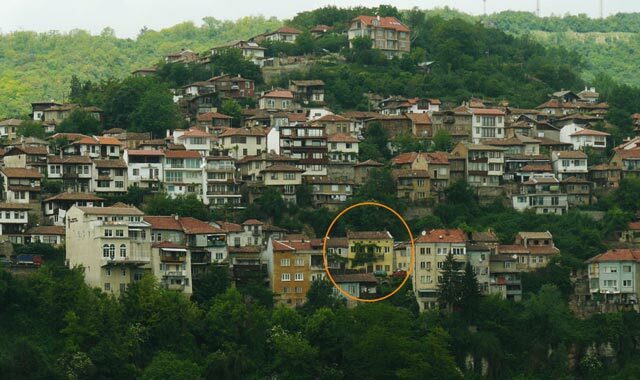 This is one of the few places in Bulgaria that has kept the atmosphere of the Bulgarian Revival street. The tourist, being fascinated by the skill of the master, can participate in a craft lesson for which he’d be awarded a diploma and will keep the otem he created himself as a gift. You can find unique items of old jewelry, guns, pottery or wood-carved pieces at the numerous souvenir and antique shops that are located along the street. If you stop for a break you can try the famous kadaif or white sugary jam, or have a cup of Turkish coffee prepared on hot sand. The monument of one of the greatest politicians from the late XIXth century Stefan Stambolov stands at the beginning of the street, and on the Samovodska Charshia square is located the house, where the great Bulgarian writer Emilian Stanev was born, which nowadays exists as a museum. You can join the folklore celebrations and recreations of traditional Bulgarian customs. The memory of Samovodska Charshia is a precious memory of Bulgaria.